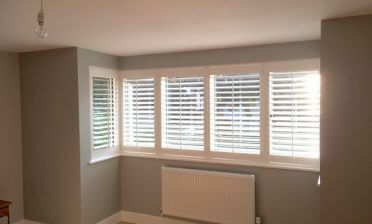 Ben was in our local Bromley area of Kent to install some new shutters from a client named Rachel. 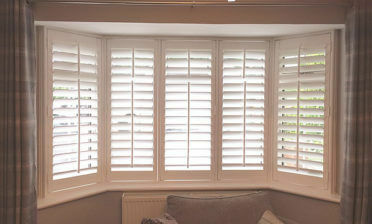 These shutters had been expertly created for a large bay window in a family living room. The room was the perfect mix of tradition with modernised features and décor, the perfect room for our shutters! 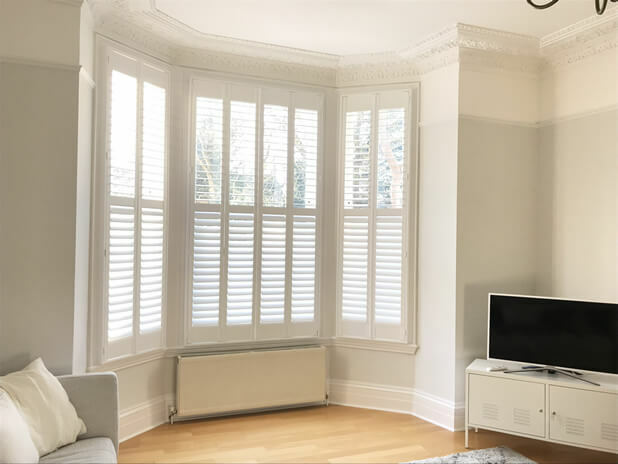 Our made to measure shutters were manufactured for Rachel in a full height style using hardwood from our Fiji Range, a light yet robust wood perfect for a window of this sizing. Using narrow panels that fold out the way with mid rails directly along the middle, the shutters are perfectly setup for opening and closing with adjustment on the tops and bottoms to get the most out of the natural lighting a bay window brings. The shutters feature beaded stiles, 63mm louvres and a hidden tilt rod system. With a hidden tilt rod system the louvres can still be adjusted using touch rather than visible rods. This helped create the traditional, yet modern look which would tie in with the room. 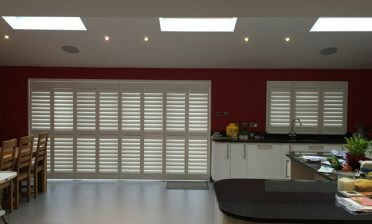 The Shutters were finished in a pure white paint with matching hinges. These shutters look like they were always meant to be there, creating the ultimate look and functionality that the family can use year on year!